PROG ROCK MUSIC TALK: New Book "Reinventing Pink Floyd: From Syd Barrett to the Dark Side of the Moon" By Bill Kopp To Be Released February 15, 2018! 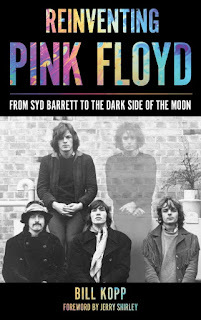 New Book "Reinventing Pink Floyd: From Syd Barrett to the Dark Side of the Moon" By Bill Kopp To Be Released February 15, 2018! 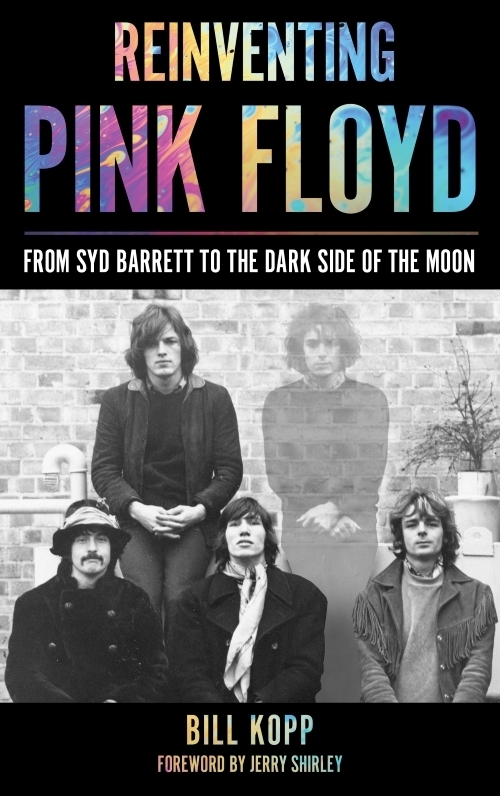 Asheville, NC - Available February 15, 2017 from Rowman & Littlefield Publishing: Bill Kopp's new book “Reinventing Pink Floyd: From Syd Barrett to the Dark Side of the Moon.” In celebration of the 45th anniversary of The Dark Side of the Moon, Bill Kopp explores ingenuity with which Pink Floyd rebranded themselves following the 1968 departure of Syd Barrett. 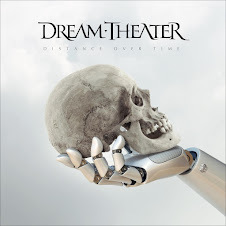 Not only did the band survive Barrett's departure, but it went on to release landmark albums that continue to influence generations of musicians and fans. “Reinventing Pink Floyd” follows the path taken by the remaining band members to establish a musical identity, develop a songwriting style, and create a new template for the manner in which albums are made and even enjoyed by listeners. As veteran music journalist Bill Kopp illustrates, that path was filled with failed experiments, creative blind alleys, one-off musical excursions, abortive collaborations, a general restlessness and—most importantly—a dedicated search for a distinctive musical personality. This exciting volume guides readers through the works of 1968 through 1973, highlighting key innovations and musical breakthroughs of lasting influence. Kopp places Pink Floyd into their historical, cultural, and musical contexts while celebrating the test of fire that took the band from the brink of demise to enduring superstardom. The book draws on archival interviews and reviews as well as many new and exclusive interviews with Peter Jenner, Ron Geesin, Steve Howe, Jerry Shirley, Davy O'List, Willie Wilson, Robyn Hitchcock and many others. Bill Kopp is a lifelong music enthusiast, musician, collector, and music journalist. His writing has been featured in music magazines including Bass Guitar, Record Collector, Prog and Shindig! (all in Great Britain), as well as Billboard, Electronic Musician, Goldmine, Trouser Press, Ugly Things and more than a dozen alternative weekly newspapers. He is the Jazz Desk Editor and Prog Editor at BLURT online, and has written liner note essays for 20 albums, including titles by Julian “Cannonball” Adderley, Larry Coryell, Edgar Winter, Rick Wakeman, The Ventures, Dave Mason and Iron Butterfly. He has interviewed several hundred musicians and music industry figures of note, and his musoscribe.com blog has features thousands of music reviews, essays, interviews and features. “Reinventing Pink Floyd” will be available February 15 from independent bookstores and Amazon, but pre-ordering direct from the publisher saves 30%. Author Bill Kopp is available now for interviews, and will be scheduling readings and book store appearances around the publishing date.